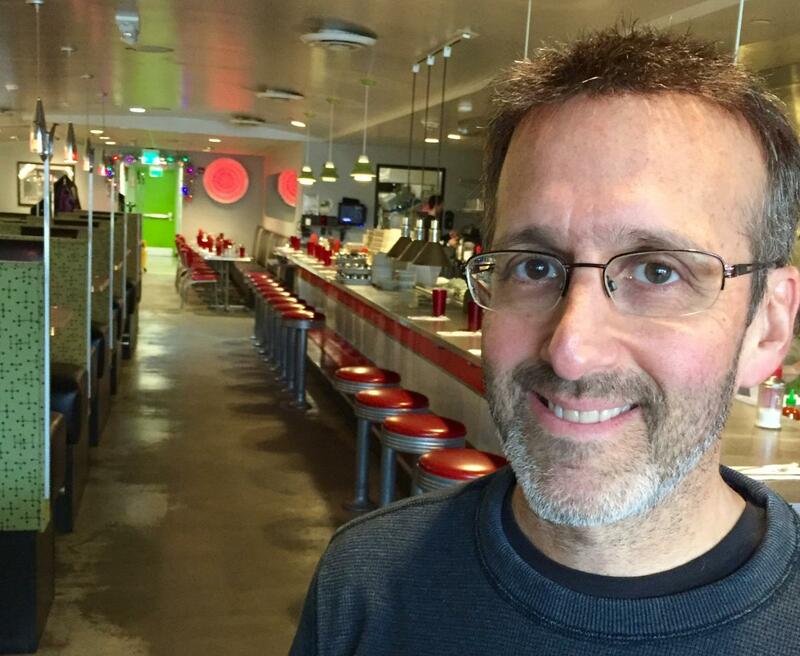 Owner Adam Penn is creating vegan/vegetarian versions of traditional diner classics that have mass appeal. Veggie Galaxy is known for its exceptional vegan/vegetarian cuisine. But don't let the plant-based mission fool you, omnivores. 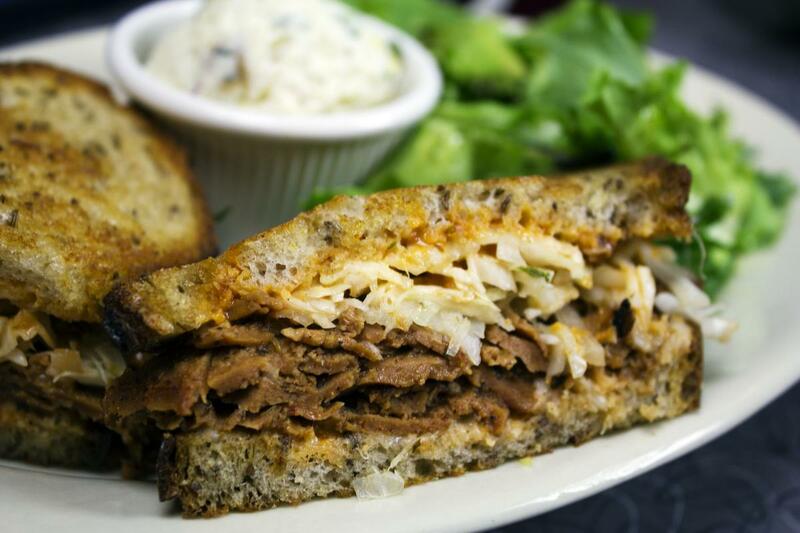 We're dealing with a menu chock full of comfort food and all the regular diner favorites. American classics, without the meat. And they're absolutely delicious. Owner Adam Penn opened the restaruant in 2011. But this wasn't his first local vegan/vegetarian haunt. He was also the man behind the purple curtain at the popular Veggie Planet in Harvard Square. The restaurant operated out of Club Passim for more than ten years before closing in 2014. All wasn't lost, Penn moved on and focused all his efforts on Veggie Galaxy, which paid off. The restaurant is topping local "best of" lists, as well as national ones. In a recent interview, Penn tells us about why he decided to open vegan/vegetarian restaurants in the Boston-area, and how his customers go crazy over the uncanny flavors of his plant-based takes on comfort food. When I moved to the Boston-area in the late 1990s (from NYC), I was surprised by the lack of vegetarian restaurants and I saw a need and opportunity. And I was not particularly happy with my finance job. Being a vegetarian myself, I thought I could pursue not just a business opportunity, but an opportunity to do something that I felt passionate about at the same time. Honestly, by the time I decided to actually open a restaurant, I almost felt I had no choice, as I couldn't imagine continuing to do what I was doing for the rest of my life. One of our newer (and most popular) items is our Buffalo Chick'n Burger. 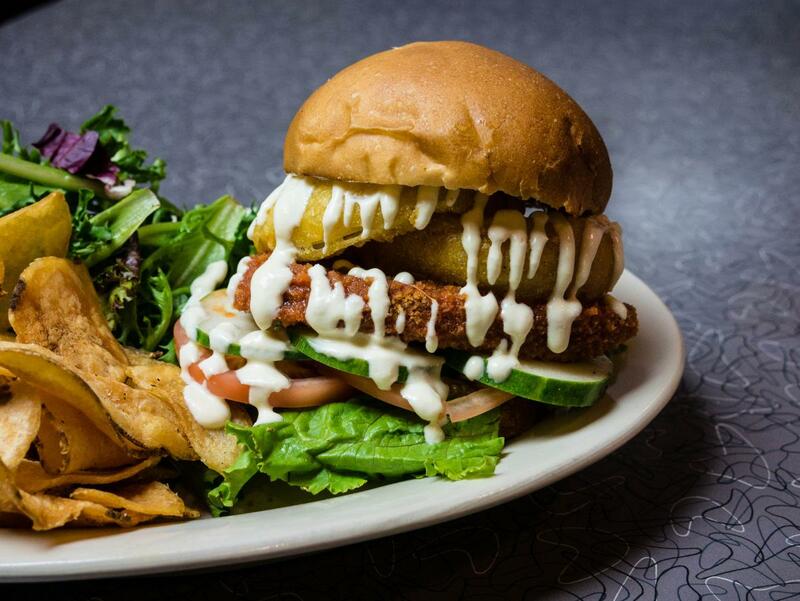 We start with our breaded house-made seitan cutlet and serve it with Buffalo sauce, onion rings, cucumber, lettuce, tomato and vegan blue cheese dressing, all on a house-made bun. We love it when meat eaters don't miss the meat (and we don't think they will with this one). We'll have musicians and tech professionals sitting next to local cops and city workers at our long counter. Brunch brings in families as well as senior citizens and hipsters. American diners have always had a reputation and role in society of providing an eating place that is welcoming to folks from all walks of life. The diversity of Central Square in that regard makes it a perfect location for a diner concept. Obviously, heavy foot traffic and accessibility to public transportation make it a good spot for restaurants in general. Both locals and tourists can easily find us. Given that my wife, Kathy, and I are both vegetarian, we tend to seek out other restaurants in the area that have good vegetarian dishes. Two places we like right in the same neighborhood are Life Alive, which is a very different vegetarian concept than ours, and Thelonious Monkfish is one of our favorite Thai restaurants in the area. And we love the Deluxe Town Diner in Watertown. A lot of vegan/vegetarian restaurants focus on the health aspects of a plant-based diet. That is not at all our focus. We're about comfort food; things people once loved and still miss since going vegan or vegetarian. For example, we have a killer Reuben sandwich, several eggs Benedict dishes, a hefty club sandwich, poutine, loaded mac n' cheese; all vegetarian and available vegan. That's what our customers tend to go crazy over, not the healthy vegetable dishes.